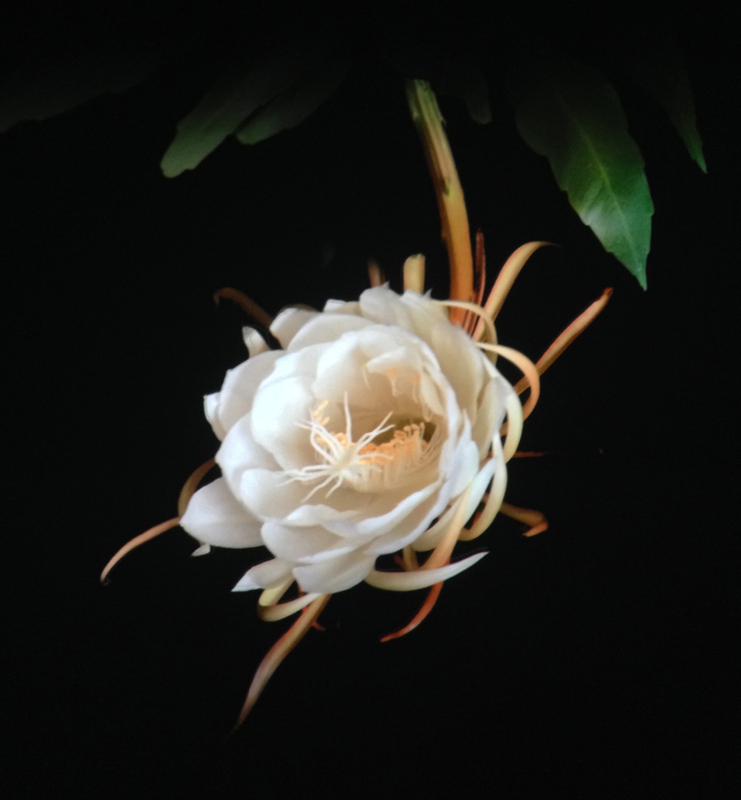 Courtney Egan is best known for her projection-based sculptural installations inspired by the flora of New Orleans, where she has lived and worked since 1991. Egan turned to the depiction of flora after being inspired by nature’s relentless cycle of renewal as witnessed in the aftermath of Hurricane Katrina in 2005. Despite heavy devastation, the city experienced a profusion of flowering plants in the first spring after the hurricane. Egan’s digital blooms recall the long tradition of botanical art, or art that relates to plants. The heyday of botanical art took place during the mid-eighteenth to early nineteenth centuries following the establishment of the binomial system of naming plant and animal species introduced by Carl Linnaeus (1707-1778). At that time, artists such as Pierre-Joseph Redouté (1759-1840) illustrated all aspects of a plant’s form, from seedling to bud and bloom, not only to produce an aesthetic rendering but also a scientific record. Egan, by contrast, manipulates digital images of plant life in order to question how technology alters perceptions of the natural world. The funnel-shaped blooms of the Epiphyllum oxypetalum, better known as the night-blooming cereus, form the focal point of Egan’s Dreamcatchers (2013). A traditional container-grown porch plant enjoyed by generations of New Orleans gardeners, this member of the cactus family comes from the tropical rain forests of Central and South America where it is called “reina de la noche,” or “queen of the night.” This cactus variety mysteriously blooms solely after dark and for only one night a year. Yet unlike the authentic bud, Egan’s version blooms again and again, palpitating hesitantly or rapidly blossoming in tandem with the viewer’s movements. This exhibition is generously supported by the Law Offices of R. Gray Sexton.